The third phase of the Dead Island Total Game Integration event launches this Thursday, August 18th into the wide world of PlayStation Home. This special event allows players to unlock a host of unique rewards. Log in this Thursday to play the Dead Island-themed “Zombie Survivor Game” and hack, slash, bludgeon, shoot, decapitate, and dismember swarms of zombies in a series of bloody, hyper-violent challenges. We have a special Dead Island game guide coming at you tomorrow, so keep your eyes on this Blog for all the info you’ll need to survive the zombie onslaught in PlayStation Home and unlock the exclusive “Exploding Zombie Meat” weapon for use in Dead Island. 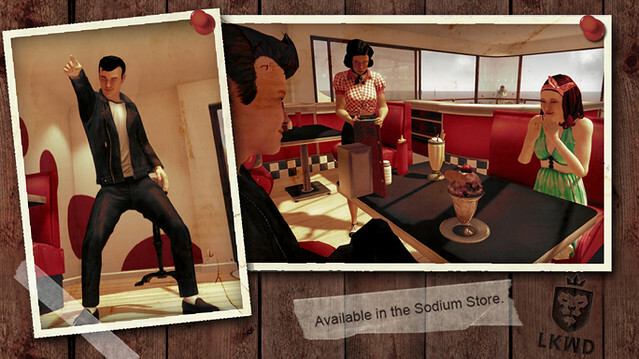 Lockwood is releasing a whole range of rockabilly wear so you can rock your PlayStation Home avatar in true 1950s style. Guys can sport the classic greaser look (complete with a cool leather jacket and slicked-back pompadour) or opt for a preppy style; the girls will have the choice of a sassy day look with tie-up blouses and cropped pants, or a breezy evening dress and sweeping over-the-shoulder hairstyle. Head to the Sodium store in the PlayStation Home Mall this Thursday to pick up these hot new rockabilly items; while you are at it, be sure to pick up the ever-popular Lockwood Gift Machine, which is being updated with a ton of new gift items this week! 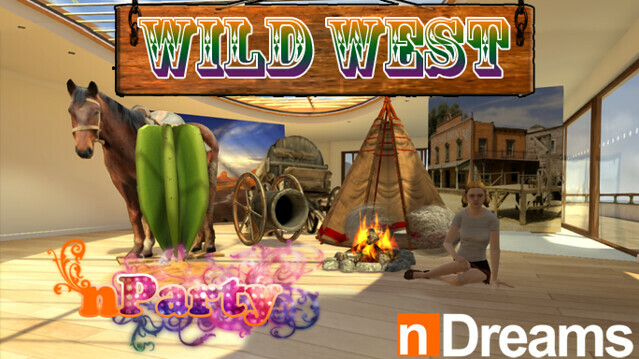 In other news, the PlayStation Home Mall will receive an update this week with new Wild West items from nDreams, new Peeps from our friends at Heavy Water, and new hairstyles, companions, and furniture items. Of course, the PlayStation Home Community Theater receives a huge update this Thursday. Watch as GamerIndepth ShoutOuts returns with coverage from the recent LoadingReadyRun event. Next up, PS Nation offers up more of their E3 2011 coverage focusing on titles like Rage, Journey, and Uncharted 3. Finally, Urgent Fury gathers some intel on the soon-to-be-released Resistance 3 and then presents a special inFAMOUS 2 trophy tour. Lastly, I wanted to take this moment to give you all a quick preview of some awesome costumes that will be released within a couple weeks in PlayStation Home. Behold – the CAS Combat Armor System!